This 3/4 HP RO/Carbonator Motor is manufactured by Marathon Electric to be completely interchangeable with OEM units. 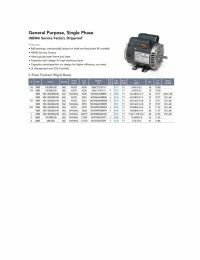 The 1 Phase AC Motor is a practical tool when light horsepower is needed for both industry or home applications. The carbonator motor features an automatic reset thermal protector and is UL recognized and CSA certified. The pump can be mounted vertically or horizontally to suit your application. 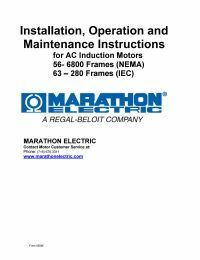 Fresh Water Systems not only carries the Marathon Electric 1 Phase AC Electric Motor, but also Procon Motors, wire harnesses and wire harness assemblies.